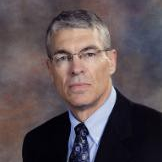 Steven C. McCraw became the Executive Director and Colonel of the Texas Department of Public Safety in August 2009. He began his law enforcement career with DPS in 1977 as a Trooper in the Texas Highway Patrol and later as a DPS Narcotics Agent until 1983 when he became a Special Agent with the FBI. He served in Dallas, Pittsburgh, Los Angeles, Tucson, San Antonio and Washington, DC. His promotions included Supervisory Special Agent, Unit Chief, Assistant Special Agent in Charge in Tucson, Inspector, Inspector-In-Charge of the South East Bomb Task Force, Deputy Assistant Director, Director of the Foreign Terrorism Tracking Task Force, Special Agent in Charge in San Antonio, Assistant Director of the Office of Intelligence for which he was tasked to establish after the attacks on 9/11. He also served as the Assistant Director of Inspections overseeing the internal inspection process, internal investigations, reengineering , strategic planning and audits. In 2004, McCraw retired from the FBI to become the Texas Homeland Security Director in the Office of the Governor where he served for five years. A native of El Paso, McCraw has Bachelor of Science and Master of Arts degrees from West Texas State University. Check out the incredible speaker line-up to see who will be joining Colonel Steven C..